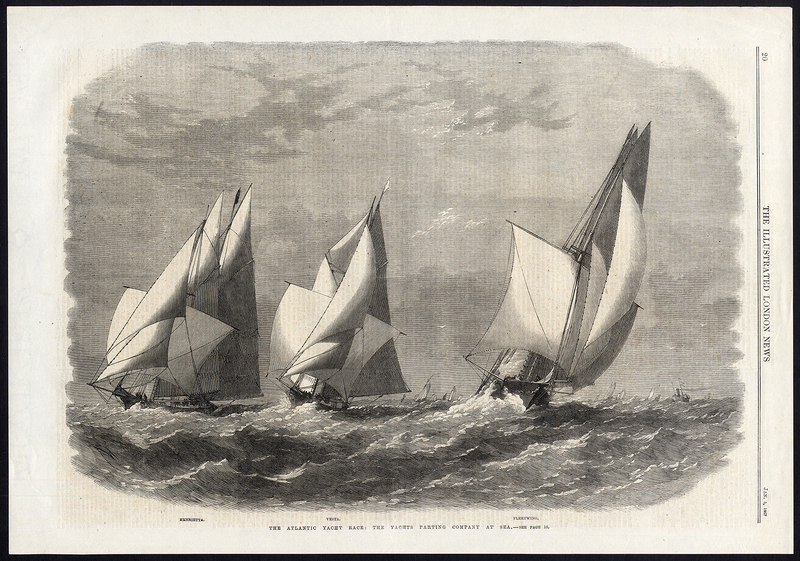 Subject: Plate : 'The Atlantic Yacht race; the Yachts parting company at sea.' This plate shows British sailing ships. English text on verso. Condition: Very good, given age. A crease in the top right margin corner. General age-related toning and light staining/soiling from handling as visible on image. Please study scan carefully.